The city of Echo, Oregon issued an apology after a city council member’s disturbing Facebook comments on 7 October. City councilor Lou Nakapalau made the comments on a Facebook page for the film Kumu Hina. The film in question is about a transgender Hawaiian woman. 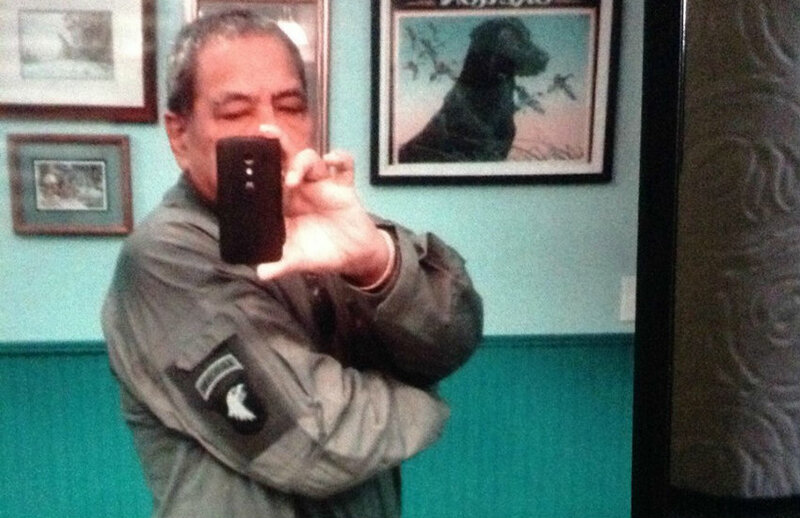 Nakapalau got into an argument with filmmaker Joe Wilson about transgender rights. The debate culminated in Nakapalau telling Wilson he was going to spit on his grave after Wilson dies of AIDS. Some of the comments have since been deleted, while others were edited for profanity. City councilor Robert Harris proposed the apology last week at a meeting. At first, there was silence and no move to the second the motion. As the audience began to cry out, fellow councilor Janie Enright seconded. The rest of the council voted unanimously to approve the motion, while Nakapalau remained quiet. In the city’s statement, they ‘extend its sincerest apology to those who were offended by comments made by a council member in a Facebook dialog’. 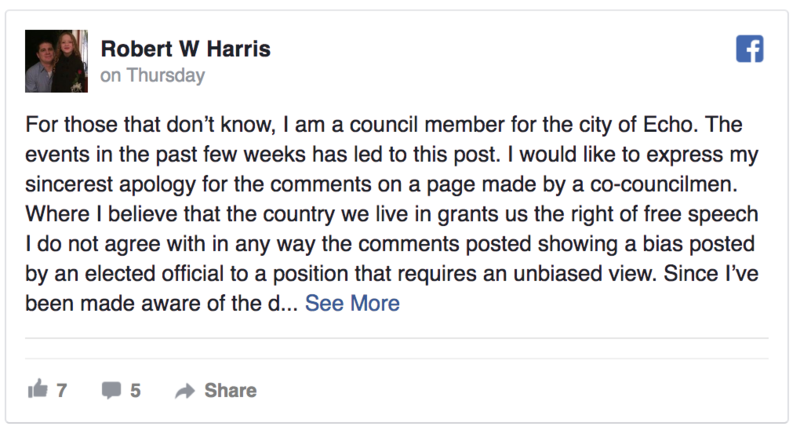 Along with the apology, Harris also suggested the council come up with ethics guidelines regarding social media use of council members. However, despite calls from some city members for Nakapalau’s resignation, Harris affirms that’s not what he was trying to do. Furthermore, while Harris issued an apology on his own Facebook page, Nakapalau has yet to do so. Still, some of the city’s residents are taking matters into their own hands.